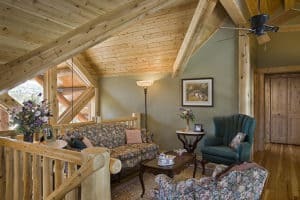 In past posts, we’ve discussed the different types of log siding and wood paneling products that can be used inside log and timber frame homes. We’ve even offered advice on unconventional surfaces on which to hang them. Now it’s time to explore where in a home to hang log siding and wood paneling. What rooms does it work best in? For many log and timber frame homeowners, the answer is easy: Any room! And for good reason. 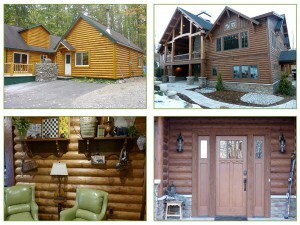 Log siding and wood paneling products are a relatively simple way to achieve a lodge look without much work. These products are easy to install and maintain. The wood can be painted or stained to match any style. Plus, they’re less expensive than building walls from full stacked logs. Who says log siding is only for the outside of a home? Last month, we wrote about ways to dress up the walls of log and timber frame homes with wood siding and paneling products. Maybe this sounds a little “off the wall,” but why stop there? 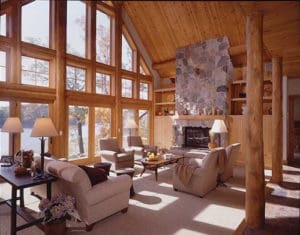 Northern White Cedar and Pine log siding and paneling are just too beautiful to restrict to walls. If you’re working with a homeowner who wants to incorporate more wood into their log or timber frame home, share these ideas for ways to install wood on a number of indoor surfaces. 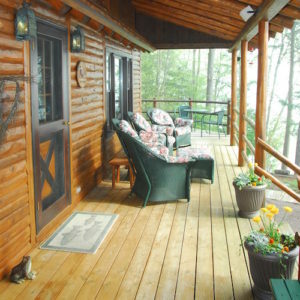 End-matched log siding, paneling and flooring has been available for decades. 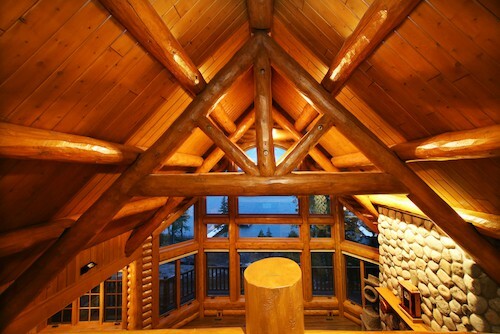 Yet, many log home builders forgo this easier and more efficient wood building product in favor of traditional non-end-matched products they are more familiar with. What’s holding home builders back from using these convenient pieces of lumber that have been double-end trimmed and precision milled with tongue-and-groove fittings for simple installation? It’s been our experience that many builders have a specific set of questions about how these products will affect the building process — and we’re happy to answer them.